We, at Flow Quimica S.L. ,make customer satisfaction our policy. Providing clients with products and associated services that comply with their specifications and requirements as well as the governing law. This is possible due to our highly qualified and dedicated team that improves our quality system on daily basis.We have adopted ISO 9001: 2015 . Our Board of Directors, plan coherent and meassurable yearly quality services goals to be met by all departments in line with our general Company policy and taking in consideration the present condition of the Company. 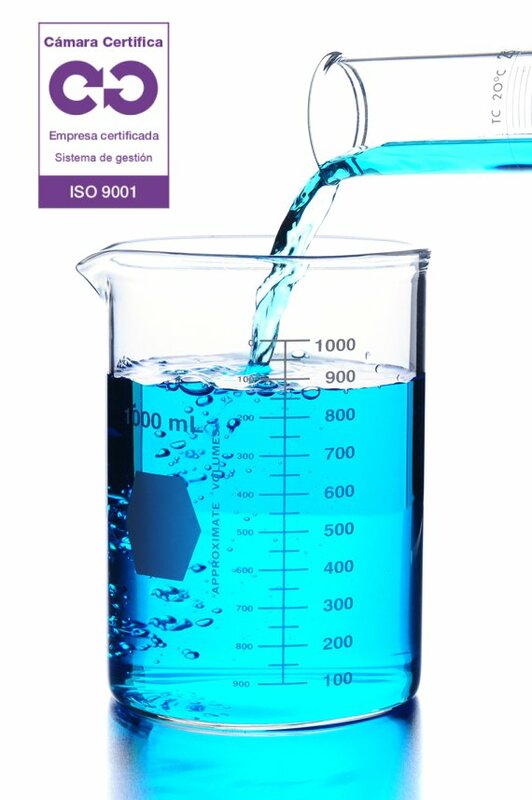 Assurance that all products are safe and reliable to our clients and that they comply with all existing laws, legislation and especifications applicable. Minimize errors reducing costs to maximize profitability. Design and implement prevention problem plans at all levels. Find Price-Quality balance to meet client´s highest expectations. Develop quality and environmental plans to improve our products. Mantain a close and fluent contact with our customers to jointly improve our services and products through their feedback. Train, educate, involve and motivate all staff members in the correct implementation of our quality policies and development plans.